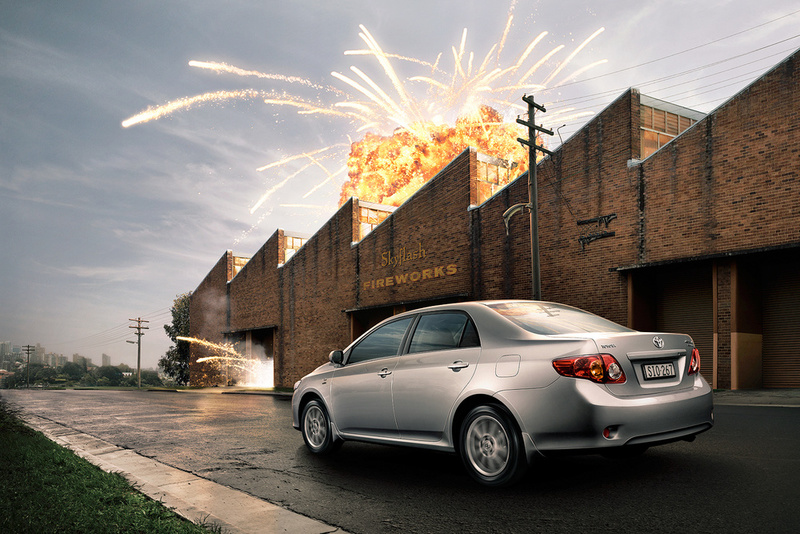 The Corolla in these images look super hot, heat radiating out from it into different places in the scene and causing havoc via explosions and melting the objects around it. Working in partnership with the photographer, some elements were model made (eg: pizza man) then further manipulated using digital illustration techniques to enhance the melting affect. We set fire to and shot various materials in our studio to create authenticity to illustrated textures.